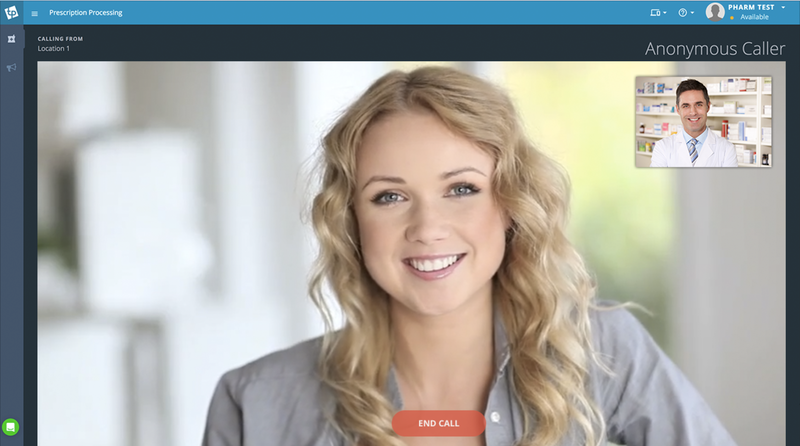 TeleCounsel is a communication platform which allows healthcare providers such as pharmacists, specialists, therapists, nutritionists, and more to counsel their patients via a HIPAA-compliant, secure video call. Bridging the geographical gap between providers and patients makes healthcare professionals more accessible in underserved areas. TeleCounsel is TelePharm’s product made specifically for remote consulting, and can be used by a variety of healthcare professionals in various settings. TeleCounsel is incredibly easy to operate. If you’ve ever talked with a friend or family member on a video call before, then you will know exactly how to use TeleCounsel. The patient simply initiates the call from their location. The provider answers the call and the patient gets to converse with their provider face-to-virtual-face. Once on the call, the provider can counsel the patient according to her/his needs. The feature of TeleCounsel that makes it a uniquely perfect fit for healthcare professionals is its HIPAA-compliance. While sometimes providers will substitute common consumer softwares in place of a secure and compliant system like TeleCounsel, it’s important for them to consider the consequences of using these unsecured video softwares. When dealing with electronic protected health information, it is important to use HIPAA-compliant systems of communication in order to avoid the various penalties associated with HIPAA violations, as well as to protect yourself and your patients from any breaches of confidential information. For more regarding the HIPAA guidelines on telemedicine, click here. How does TeleCounsel benefit patients? Many people live in places that are considered Medically Underserved Areas (MUA’s). These are areas where there is not a sufficient ratio of healthcare providers to patients. Oftentimes, patients in these MUA’s are left to either drive for miles to their nearest provider or they simply don’t get the care they need due to the lack of convenience. With TeleCounsel, providers are able to make their services and expertise accessible to people in MUA’s. Having the ability to connect with their healthcare provider remotely gives patients a level of access to and communication with providers that they otherwise wouldn’t be able to have, due to their geographical location. Given its HIPAA-compliance, TeleCounsel provides a peace of mind to patients, as they can feel confident that their private medical information and the conversations they have with their provider on the call are secure and protected from outside parties. How does TeleCounsel benefit providers? Medically Underserved Areas present opportunities for healthcare providers. Much like a town without a pizza joint presents an opportunity for a pizza restaurateur. In underserved areas, however, it may not always make the most sense to open up shop in the town, because the number of patients/pizza eaters may not be a high enough volume to sustain the business. This is where healthcare providers and pizzaiolos part company. Pizza requires a physical interaction in order to be served (unless anyone knows of a virtual way to consume pizza - in which case please let me know). Healthcare providers oftentimes are able to perform their services through a simple conversation. TeleCounsel is a great way for them to perform their services for patients through a virtual delivery method, without the overhead of opening an entirely new practice in town. TeleCounsel can be placed in an existing establishment in town, such as a clinic, and the provider is suddenly able to start serving patients they couldn’t reach before. For pharmacists specifically, TeleCounsel presents an opportunity to both drive business to their existing pharmacy, as well as give them some market research to see if the volume of patients they’re seeing would support a telepharmacy at that location. If you’re interested in using TeleCounsel to extend your reach, grow your practice, and help more patients, click below to learn more.